History of the Quran: How was the Quran compiled? The next community family halaqa is after isha prayer on Friday, February 1st, 2019. The topic will be: "How was the Quran compiled?" Please bring your favorite dish to share with the community. 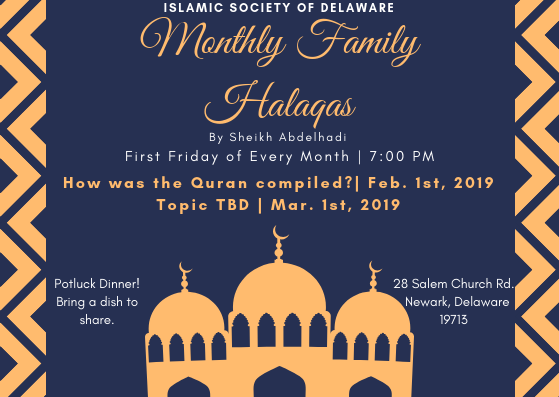 We're seeking your (community's) input with TOPICS selection for 2019 monthly family halaqas. Please do your best to provide us your feedback. We truly value and greatly appreciate your feedback. May Allah (SWT) bless you for lending us helping hand in serving the ISD community.